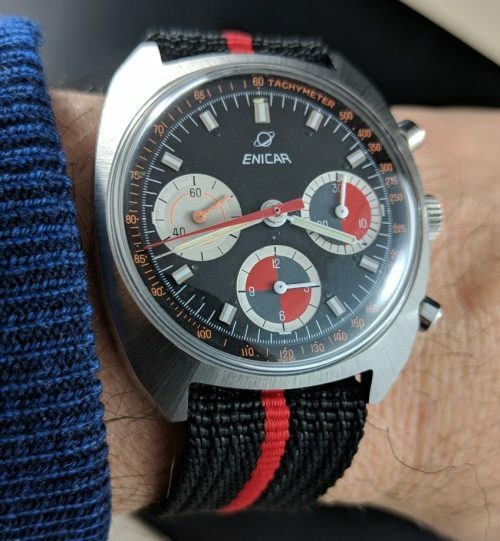 This is an exotically dialed ENICAR chronograph from the late 1960’s. The steel (pristine) case measures 37mm. with screw-back and signed original winding crown. The famed and fine manual winding Valjoux 72 column wheel chronograph movement was just meticulously dismantled and cleaned. The original dial and handset speak for themselves in the photos. This is a very uncommon ENICAR. I love it!